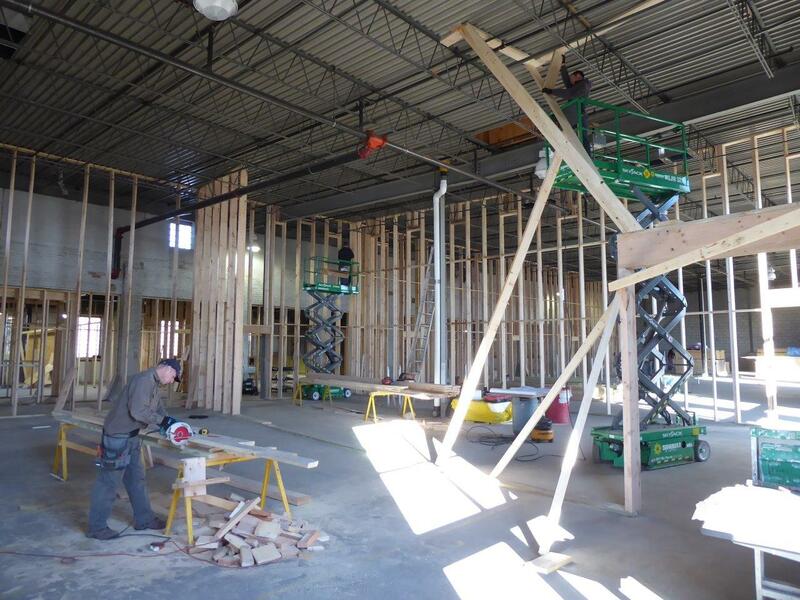 The CARPENTERS have been framing interior partitions. 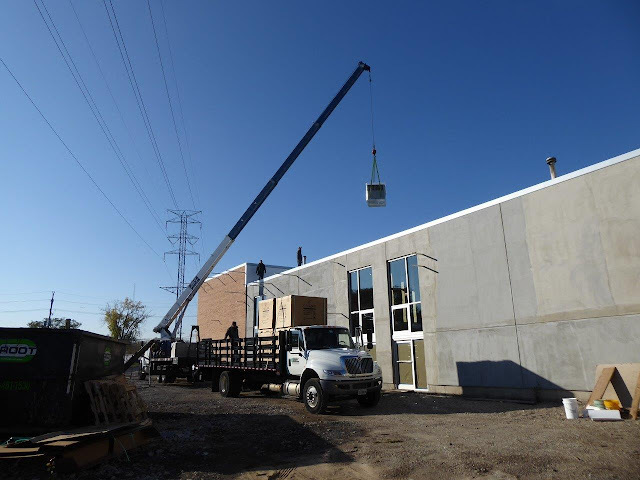 The units on the west side of the service corridor have been completed (units 1-5). 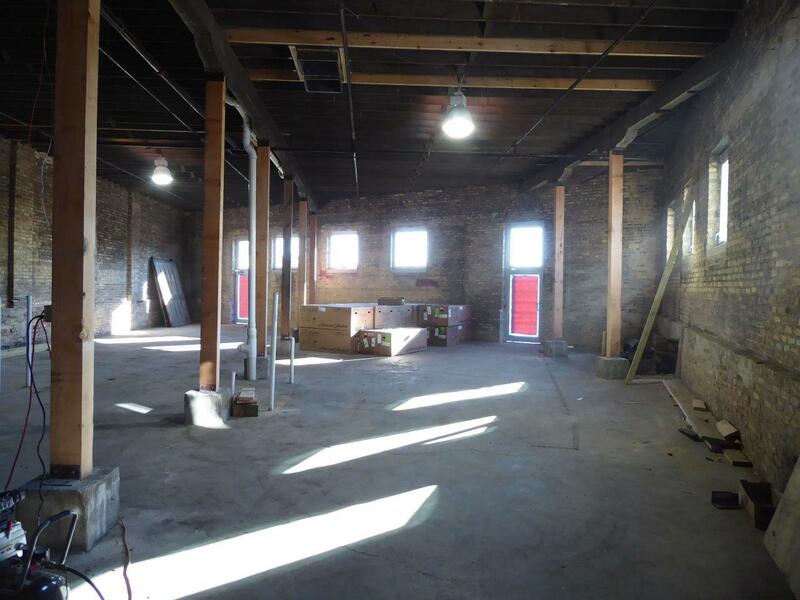 The east side (units 6-15) is about 70% finished and should be 100% in the next 3 weeks per schedule. 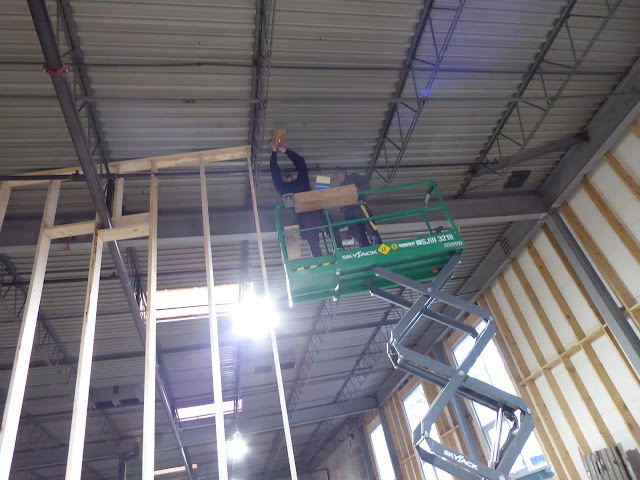 They have also completed the skylight installation. 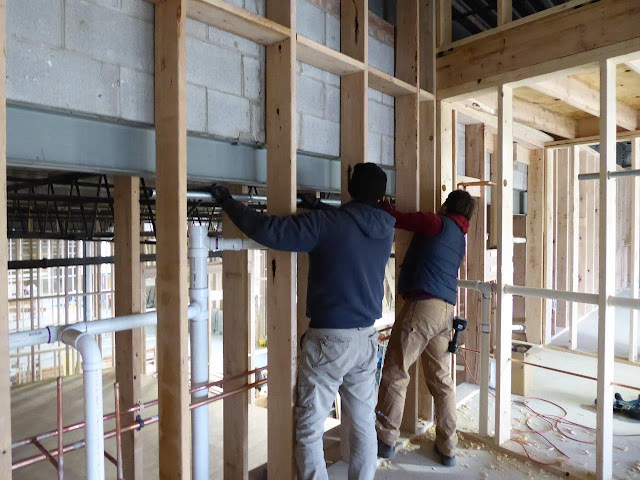 The mechanical trades (PLUMBING, HVAC & ELECTRICAL) have been following our usual chase the CARPENTERS sequencing. 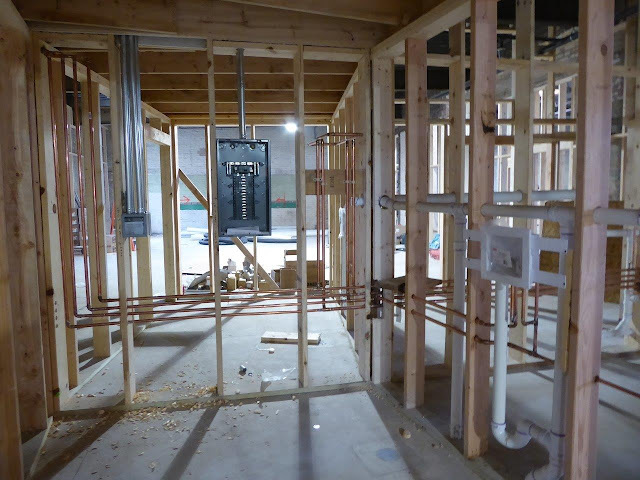 The PLUMBERS are 95% complete with the waste, vent and water lines and have started the gas piping which will be covered in the next project update. 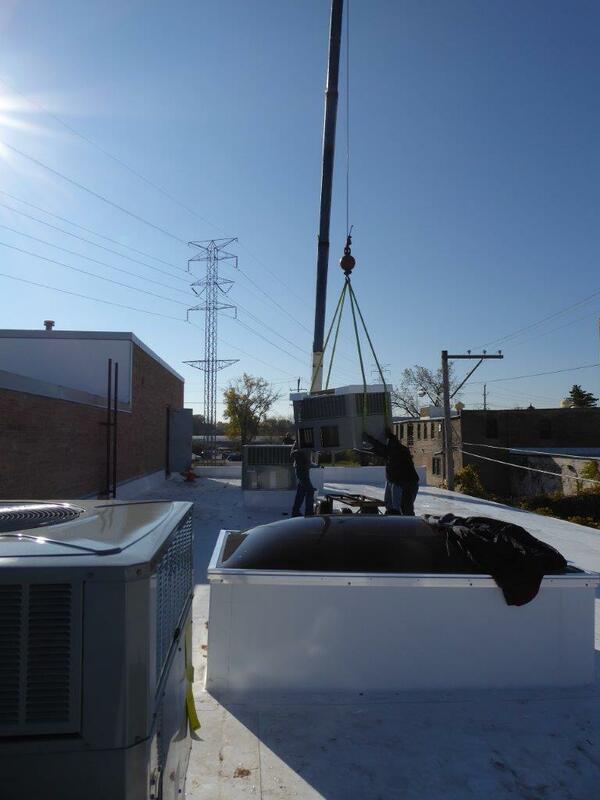 The HVAC contractor has set all of the roof top units. The ELECTRICIANS are nearly complete with power and communication conduit that feed each unit. 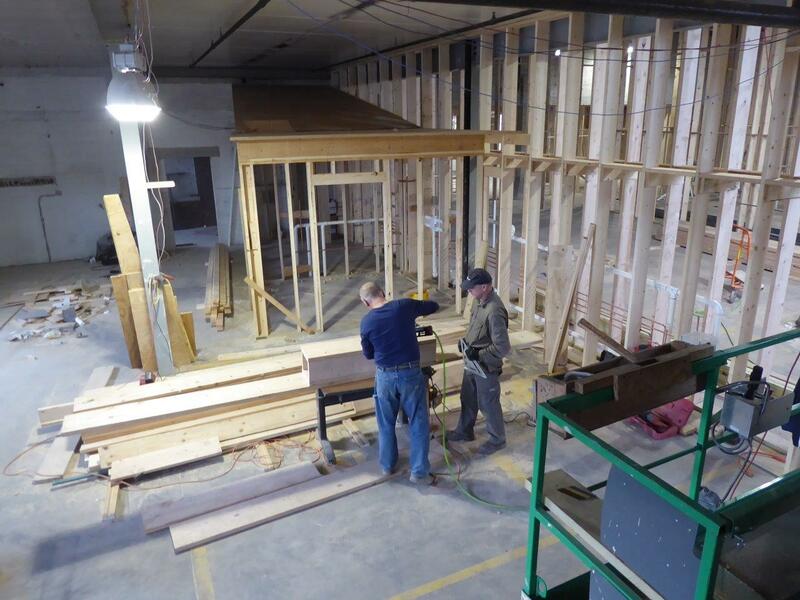 They are now well into the individual unit’s conduit installation. The WINDOW contractor is 95% complete with the exterior entry doors and window install. Exterior caulking will be completed once the EIFS finish coat has been applied in spring. 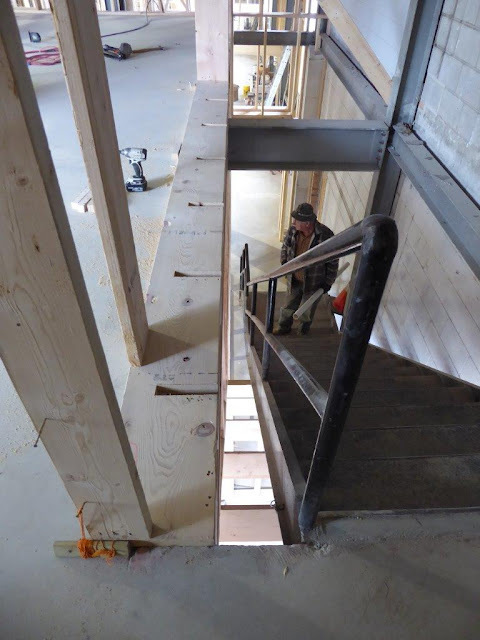 CONCRETE GRINDING has been completed on the 2nd floor as part of the pre-drywall work in unit 6. CARPENTERS: unit 8/9 demising wall is being framed. 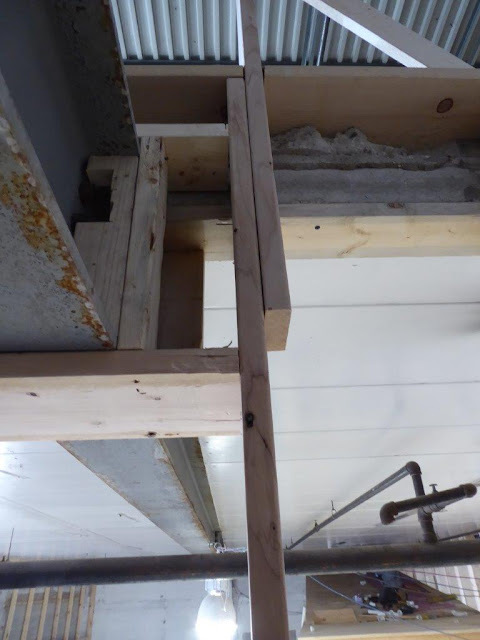 2x8 material is used. 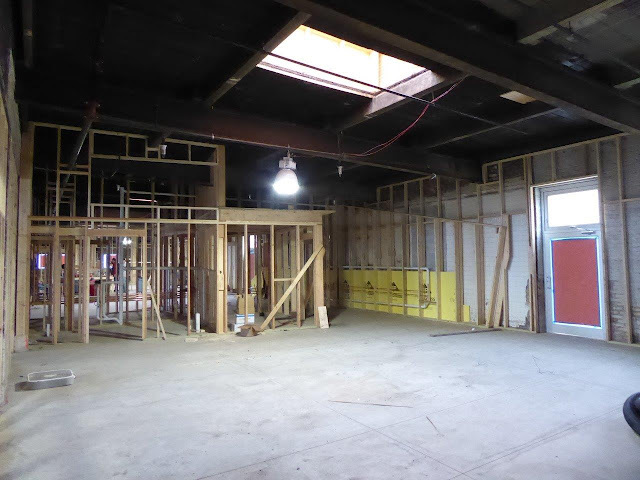 the splayed portion will add interest to the adjacent units...a twofer. CARPENTERS: view from unit 9. notice the 10' break-thru which allows combining units. 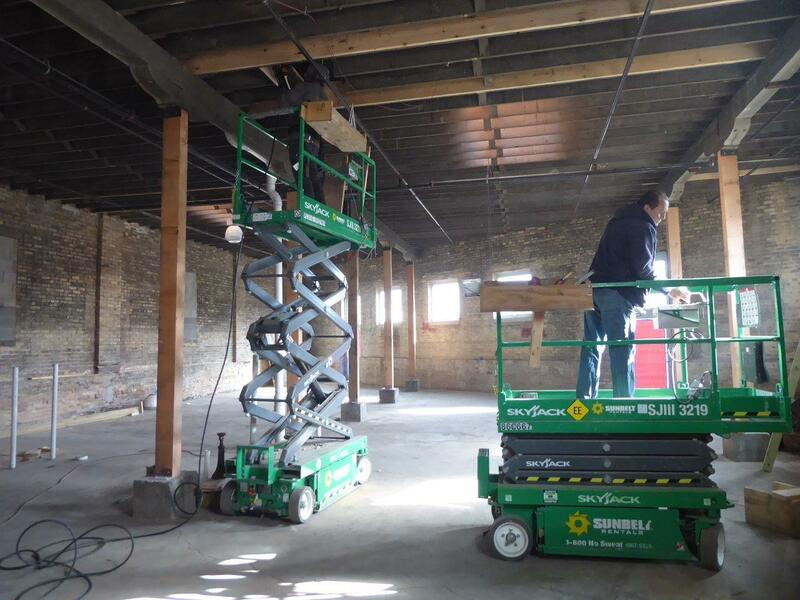 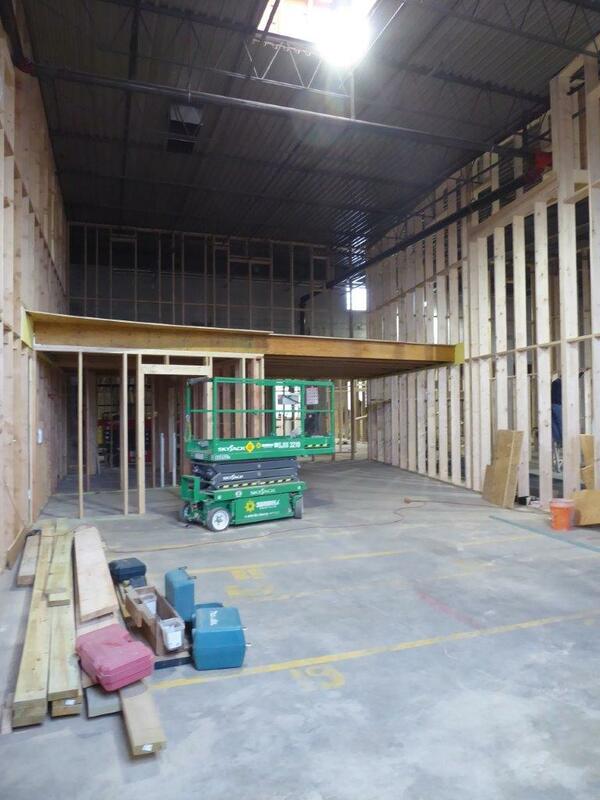 CARPENTERS: units 8/9 are ready for 2nd level mezzanines. 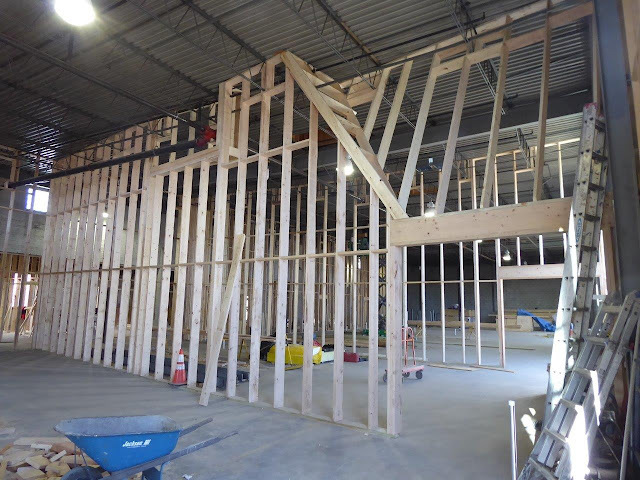 steel angles are used for support at demising walls. 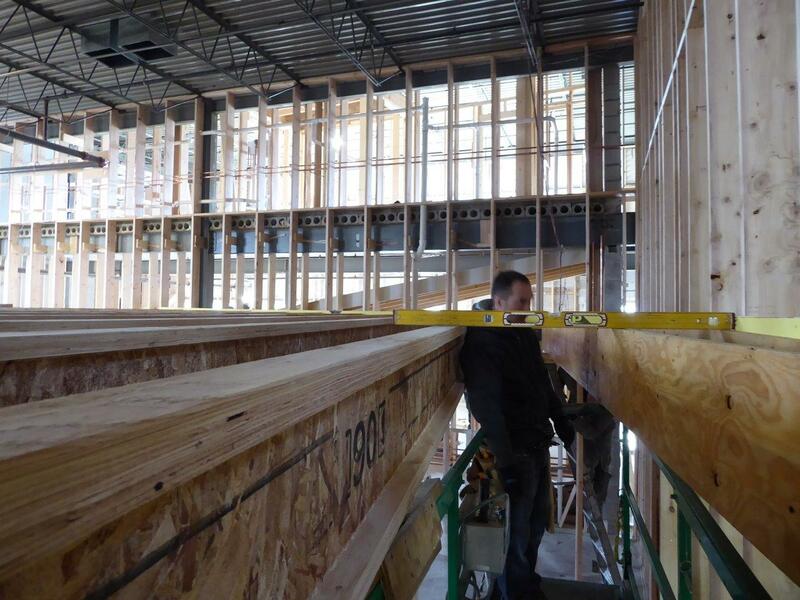 I-joists have also been delivered. CARPENTERS: a laser is used for 2x8 demising wall layout. 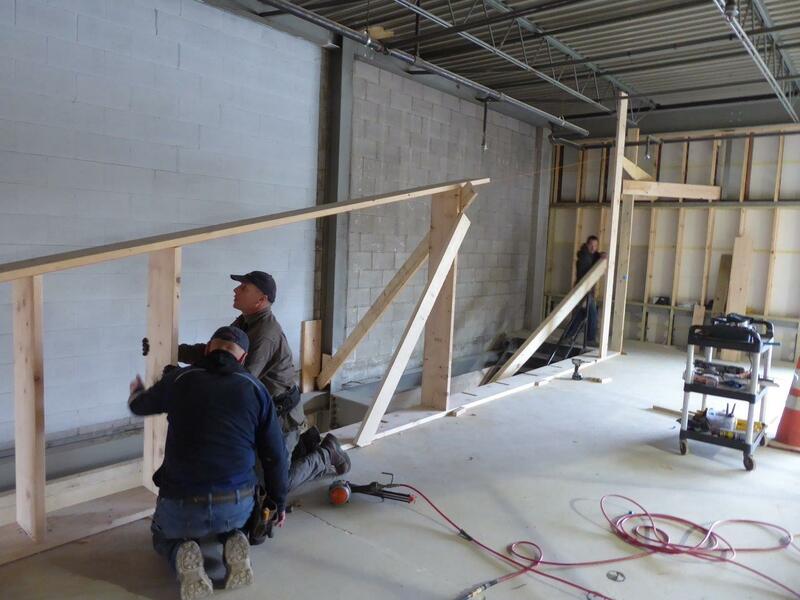 2x8's are used for straightness since the wall is 22' tall. 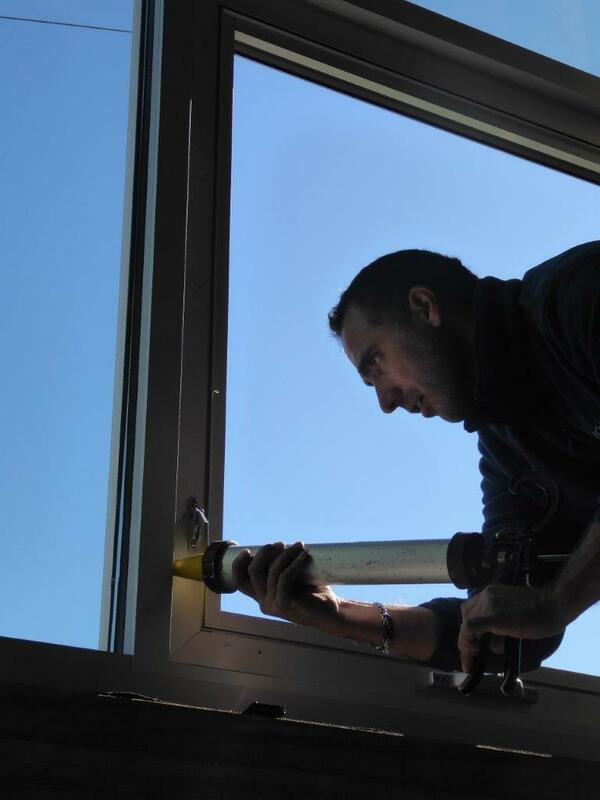 additional sound insulation is benefit. 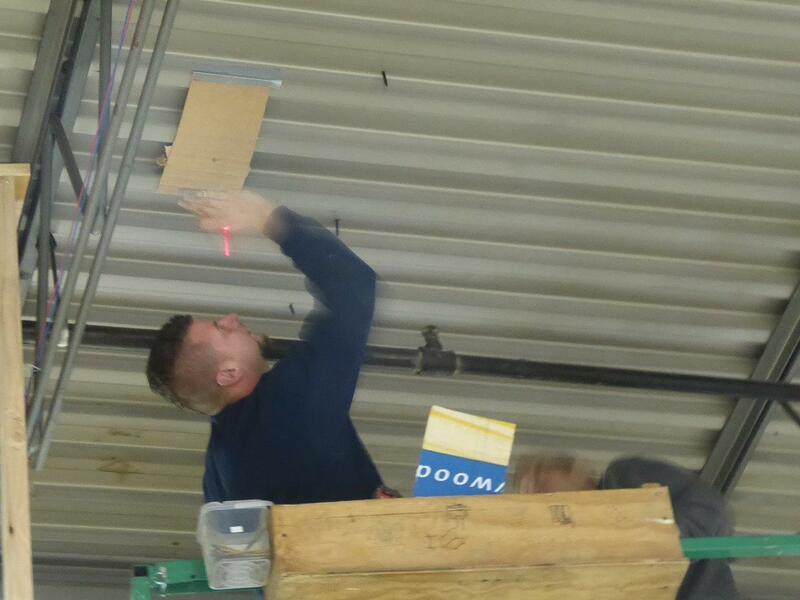 CARPENTERS: note the red laser dot on the ceiling. CARPENTERS: unit 4 framing is complete, plumbing has been roughed, next the electrical. CARPENTERS: framing a low partition in unit 6. CARPENTERS: the bottom plate is notched so that the studs can be "let in" to the framing below. 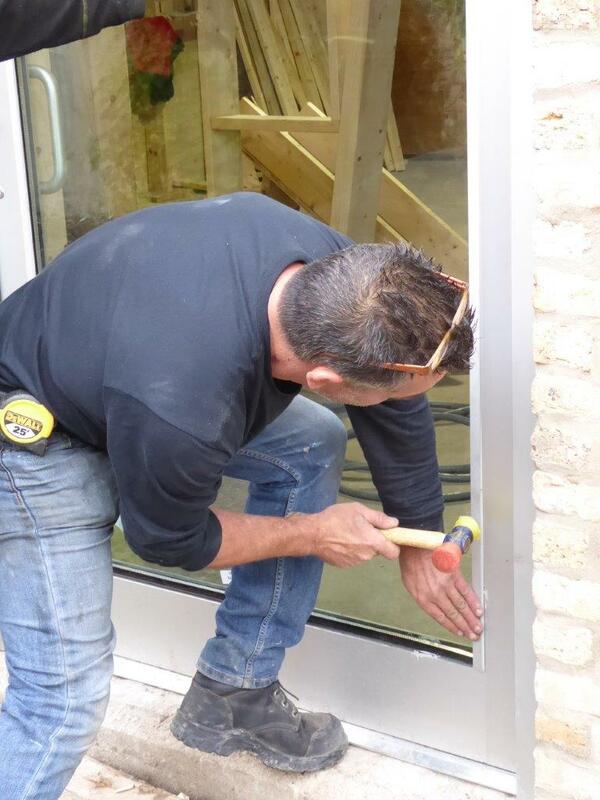 this technique makes the finished product very stiff. CARPENTERS: studs "let in" to framing. 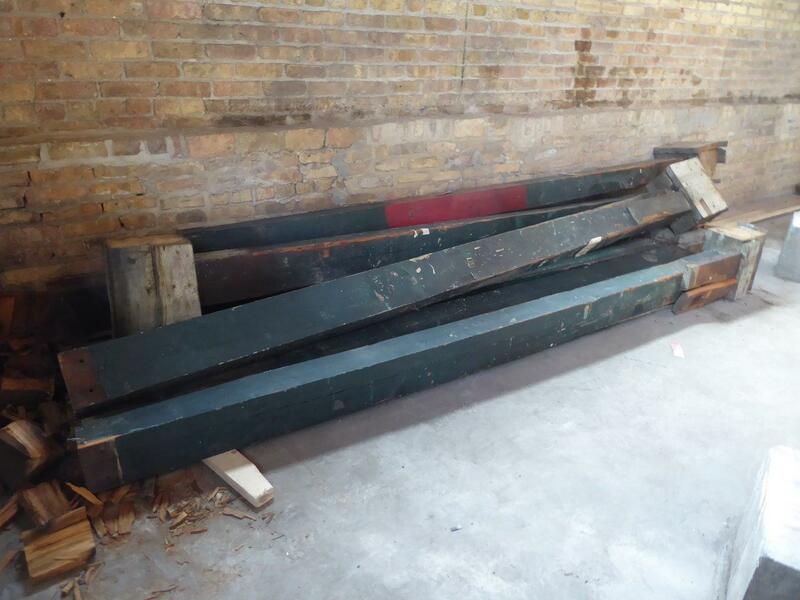 CARPENTERS: we needed to remove/replace the 6x8 wood columns in units 14/15 that had been extended. 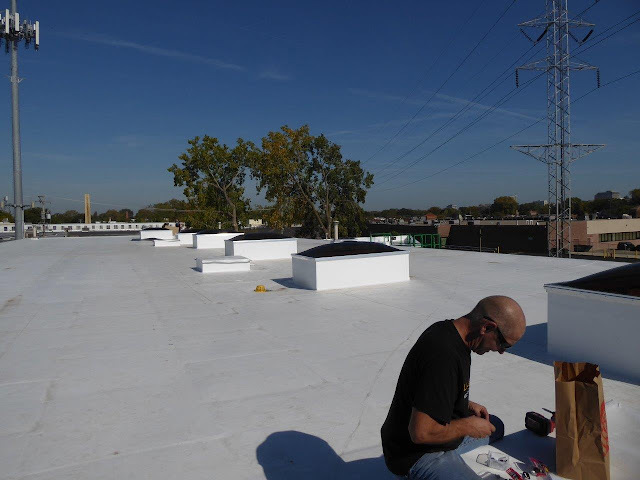 we re-pitched the roof for better drainage concurrently (see video below). CARPENTERS: removed wood columns, ready for re-purposing. 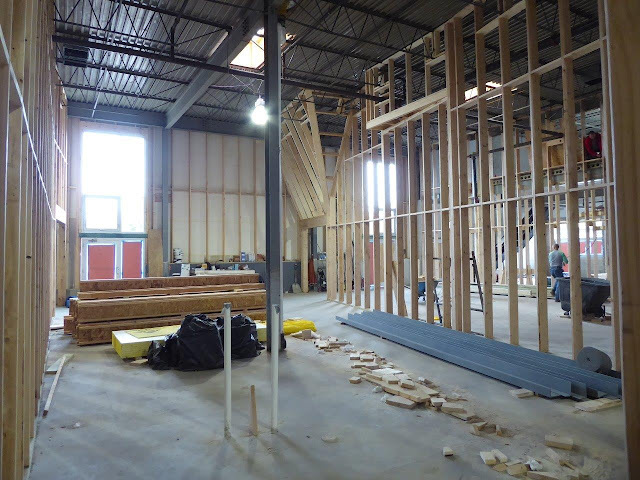 CARPENTERS: columns complete. 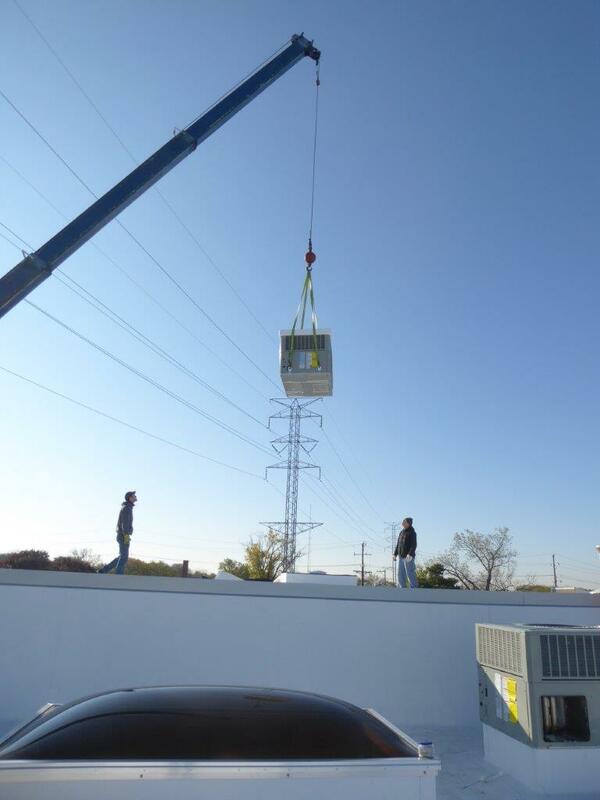 the roof joists were also reinforced to support the roof top HVAC unit (RTU). 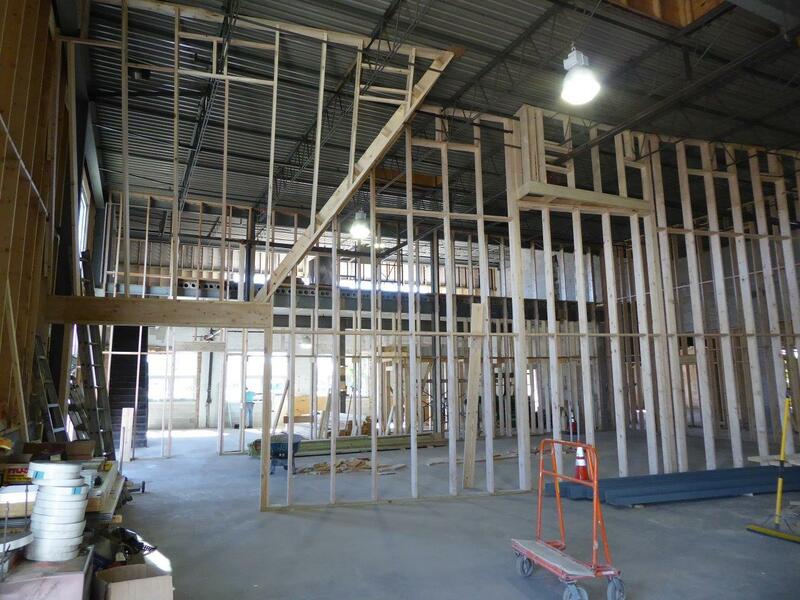 CARPENTERS: bathroom and utility room walls have been framed. 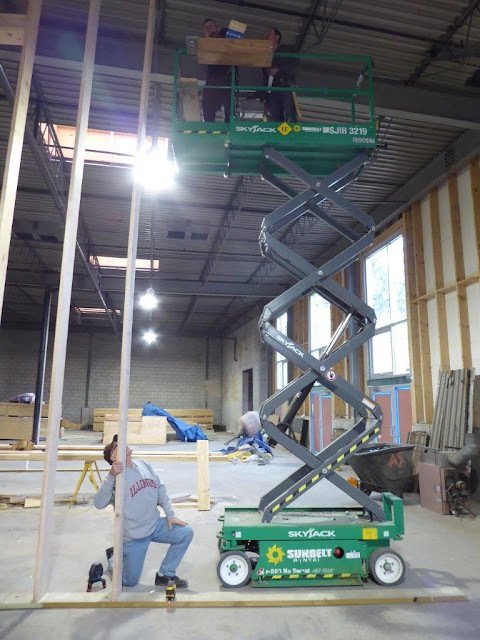 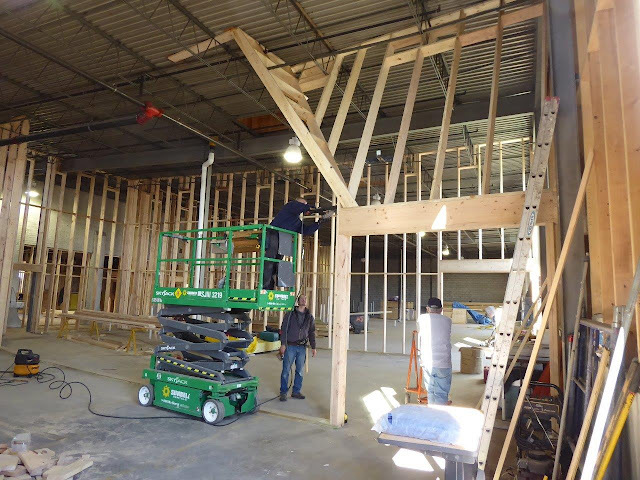 marek is attaching steel angles to receive I-joists for 2nd floor mezzanine. CARPENTERS: marek is installing lag bolts through the steel angles into the demising wall. 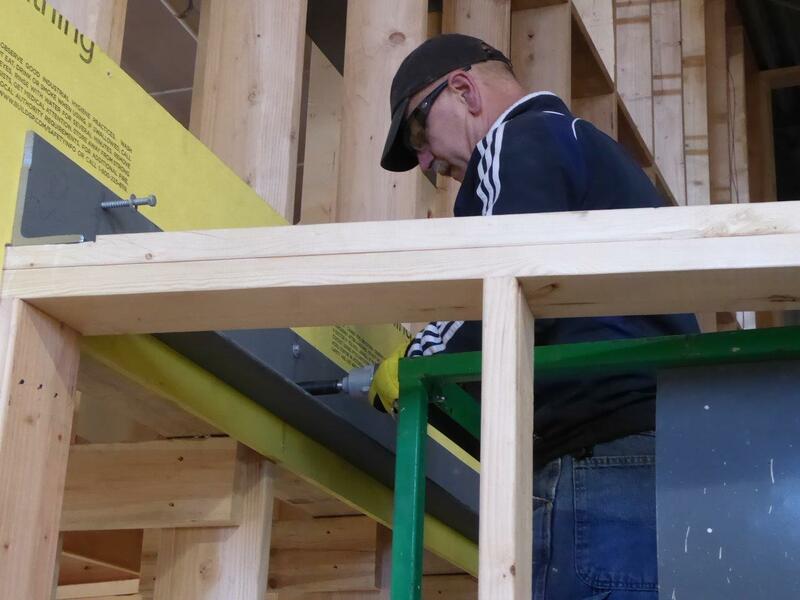 CARPENTERS: kris is installing I-joists. 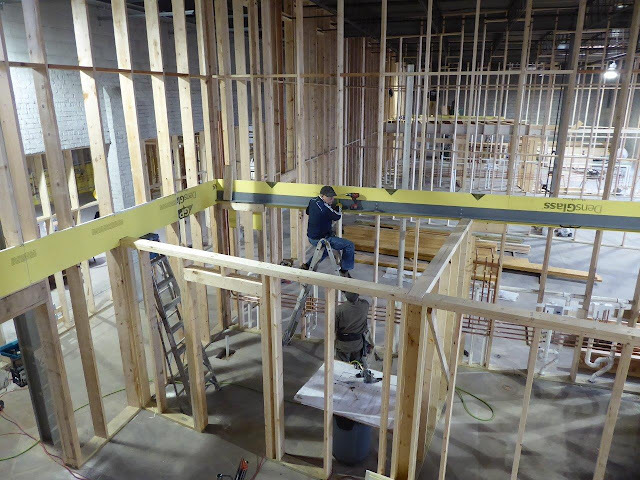 CARPENTERS: unit 8 mezzanine I-joists and plywood subfloor installed. 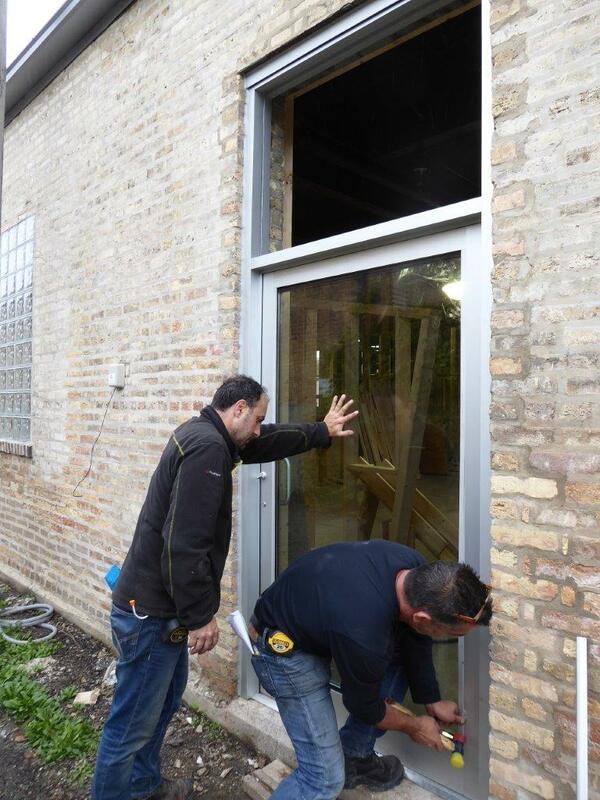 WINDOWS: glass being installed in unit entry on west side. WINDOWS: a rubber mallet is used to snap the aluminum stop in place. WINDOWS: dense plastic shim are use as part of the process. 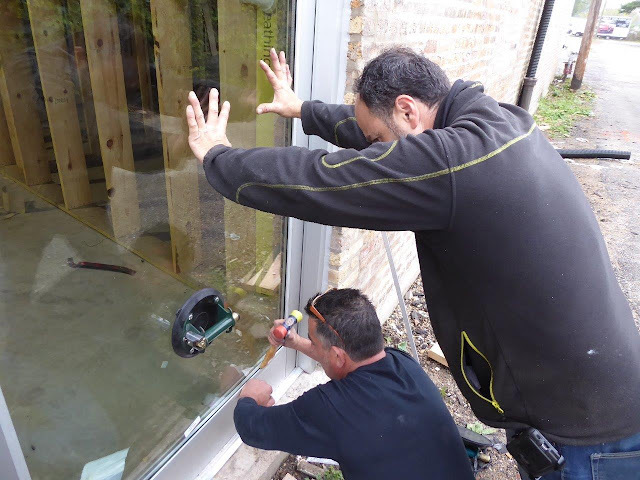 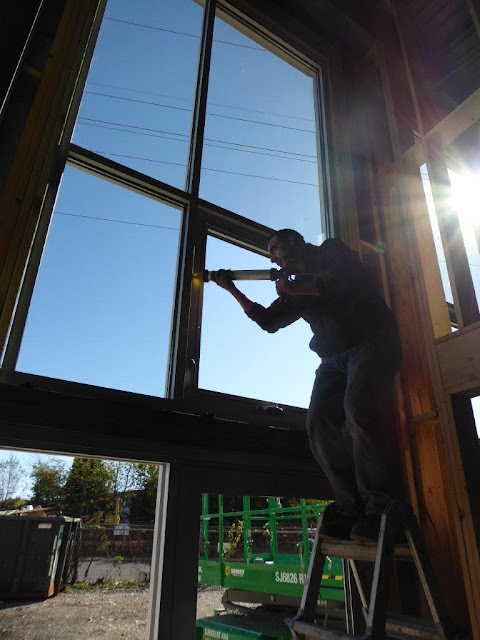 WINDOWS: roberto is caulking the intersection between the fixed glazing frame and the operating unit. CONCRETE GRINDING: the 2nd floor finished floor was going to be a vinyl strip system. upon removal of the existing 12x12 vinyl tile during demolition, we discovered the substrate to be standard concrete. 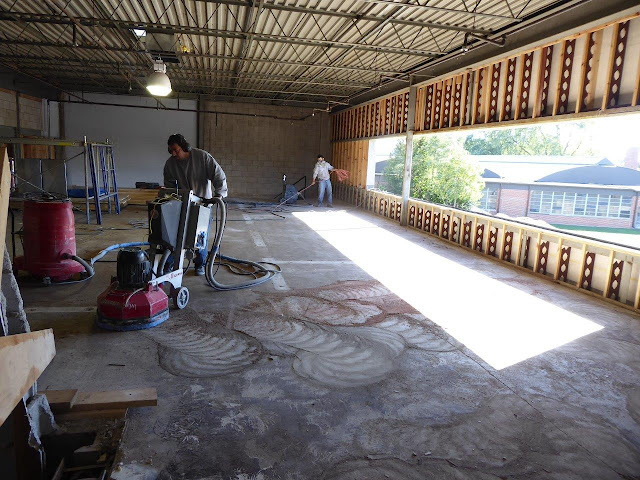 we decided to then grind the concrete so we could use the same food service grade water based epoxy finish as elsewhere. 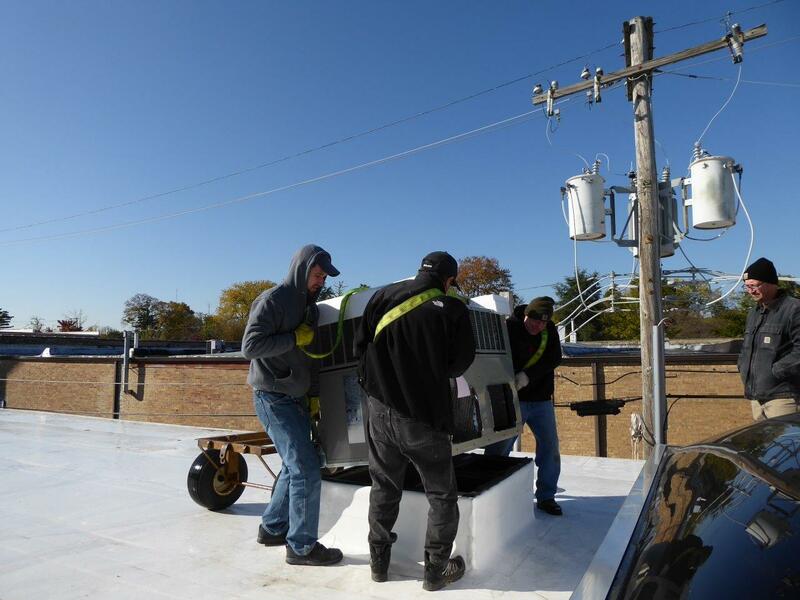 HVAC: roof top units (RTU) are craned for installation. ELECTRICAL: 1 1/4" unit service feeds being installed on "the bridge". ELECTRICAL: pull boxes for wire distribution to 1 1/4" unit service feeds on bridge above. 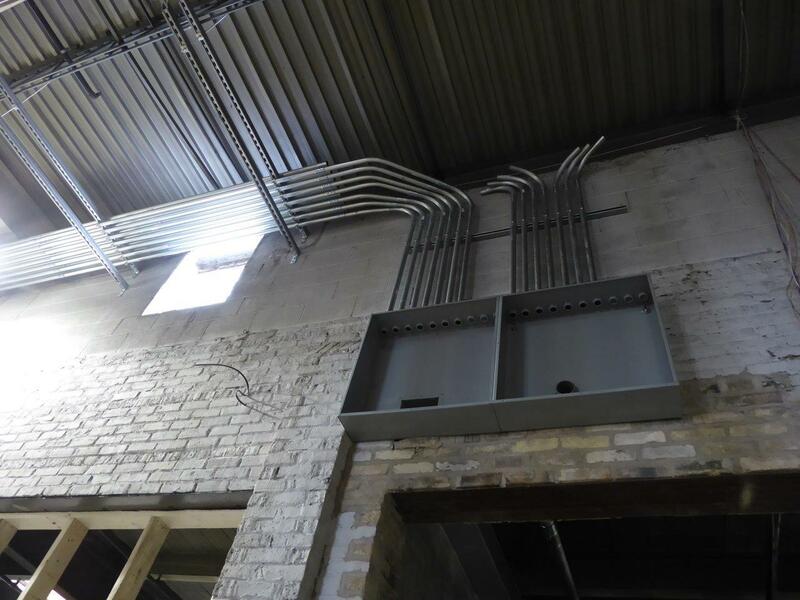 ELECTRICAL: 100amp unit service panel on right with 8"x8" communications feed on left. 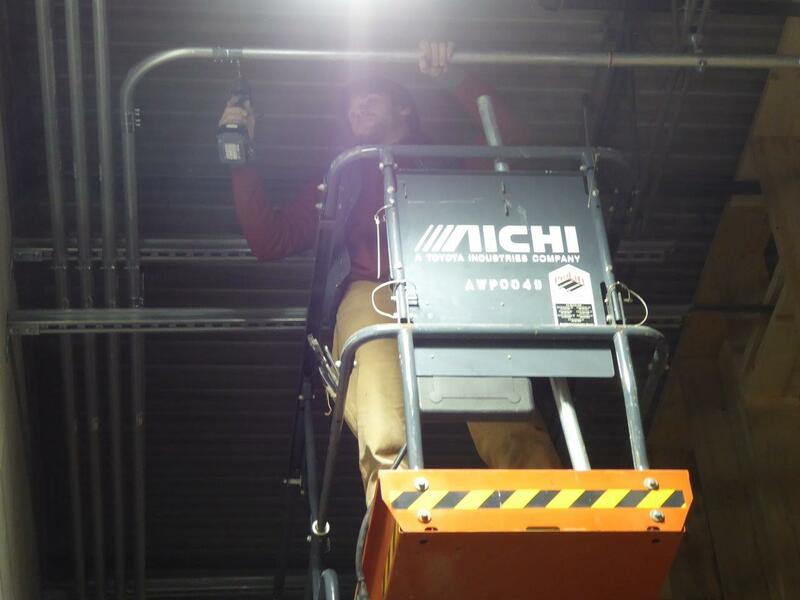 ELECTRICAL: service feed being installed for unit 6 on 2nd floor. 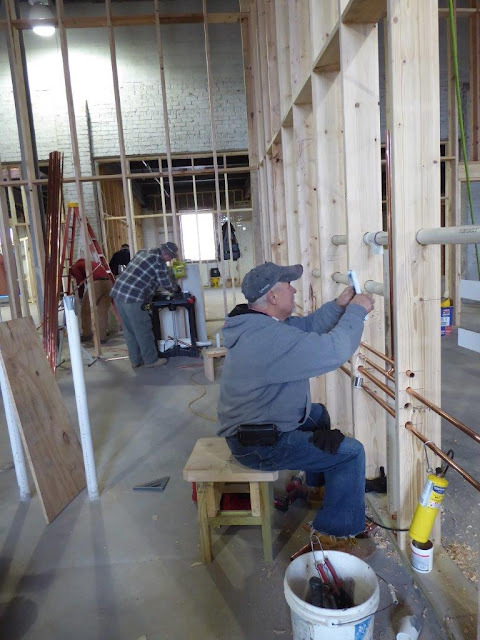 PLUMBING: water line coupling being soldered. 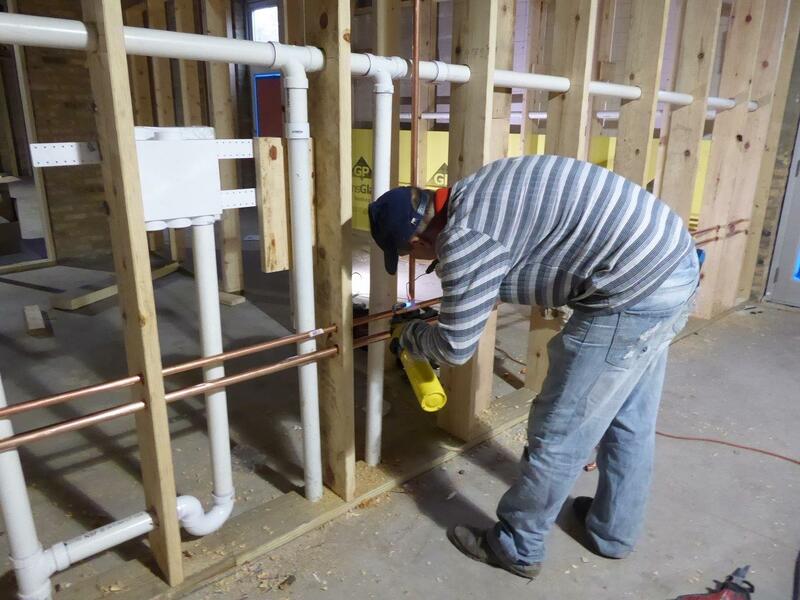 PLUMBING: waterline pipe being measured. PLUMBING: ziggy is having a good hat day. 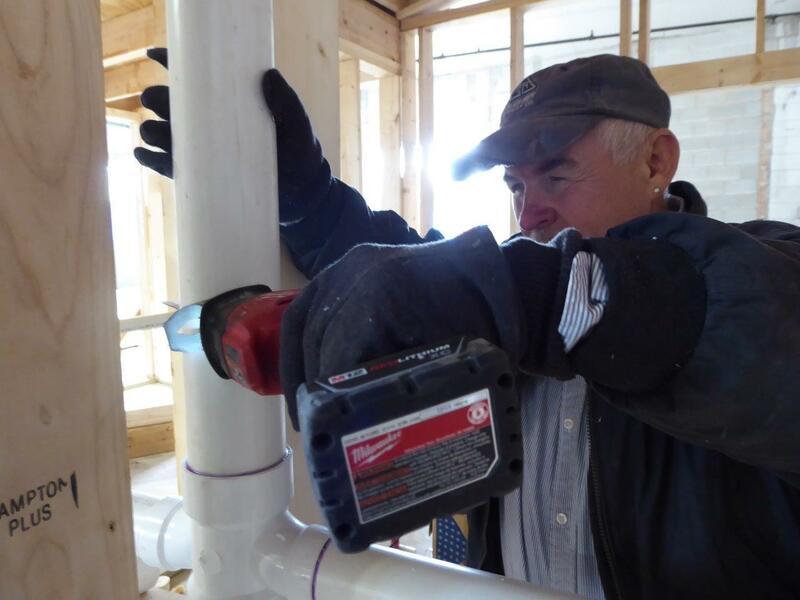 cordless tools are used for most tasks now. 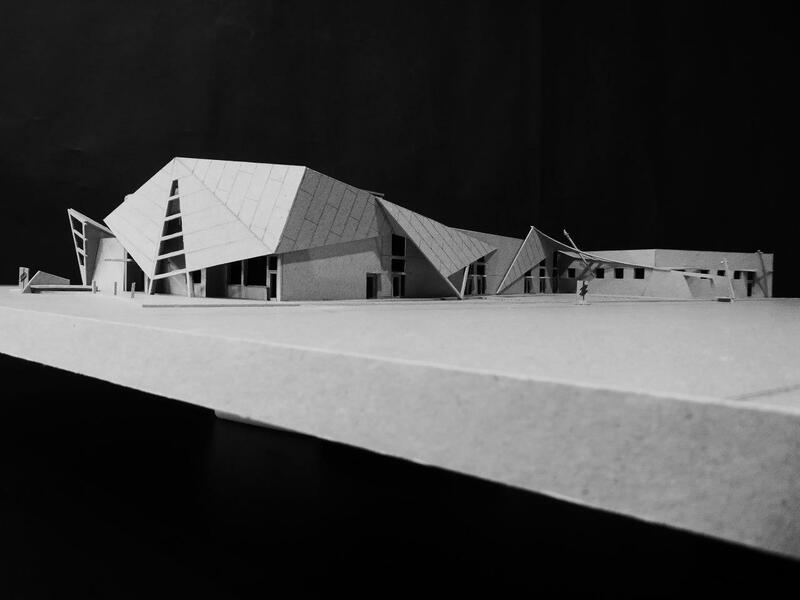 MODEL: looking NW from greenleaf.